The 2015 Head of the Hooch was this past weekend and we had 20+ of our high school rowers attend this huge regatta in Chattanooga, TN. The weather was dreary for most of Friday and Saturday but cleared a bit on Sunday while turning very cold (at least for our Florida blood). That said, the water was amazing and some great racing happened. This is a great chance for our team to bond and grow together and a lot of that happened over the course of the 3.5 days spent traveling and racing. The next regatta on the SORA calendar is the Head of the Giblet which is our home/hosted regatta. Much more info to come this week on volunteer opportunities and more. - We've gotten our first two regattas done and we've had some success and have identified areas for improvement. Congrats to our Novices and first year Middle School rowers who completed their their first races! 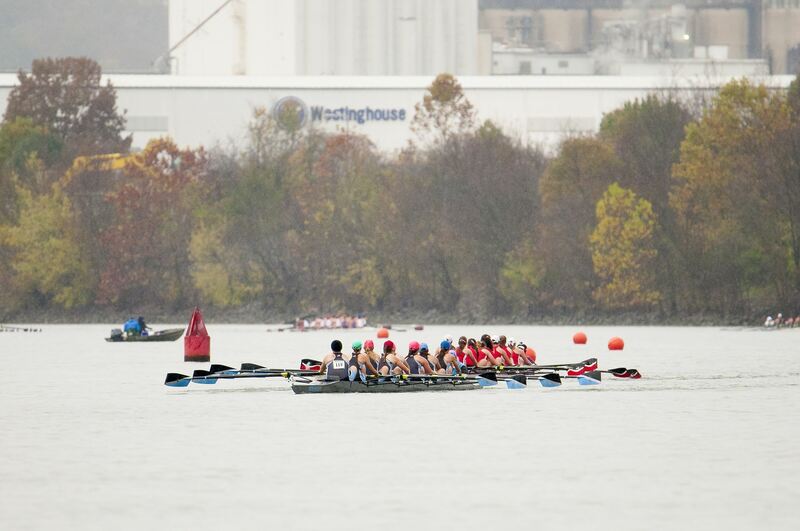 - The next regatta on the calendar is our annual travel event for high school, Head of the Hooch in Chattanooga, TN. This is a 3 day event with travel and one the kids look forward to. Registration is required and is now live on the events page. A full itinerary with hotel info, etc. will follow very soon. - Thank you to our parent hospitality volunteers for feeding our kids. If you were not there for the very end, they all said a big thank you!!! - November is Giblet month when we prepare to host our regatta at Turkey Lake. For our new families, this is an "all hands on deck" event where we rely on our membership to put on this great event. If you've been to either or both of the last two races, you see all that goes into making them run... well that's all on us for Giblet. Sign ups will be posted as soon as we have all the details and work is divided up so everyone can both help and get a chance to watch their rower. Two Firsts for 2015-2016 next week! First up will be the beginning of our inaugural Monday/Wednesday Middle School session. With the explosion of interest in our program, we've had to add days to fit all the 6th-8th graders. Next is our first regatta of the year, the aptly named First Coast Regatta in Jacksonville on October 10th. This one is for returning high school rowers but the next one on October 17th is for most of our youth/middle school rowers. The details/planner info was emailed to all HS rowers for First Coast but you can also find that info by clicking on the event on our front page. All programs now in session! We've now welcomed all rowers for the season with Middle School starting last night and High School rowing starting last week. This week is "open house" for Middle School with all registered and potential rowers invited to attend Wednesday and Thursday before our regular schedule starts next week. Currently there is a waiting list for our middle school program. 1) Sign up for Mon/Wed and as soon we we get enough rowers we will begin that session. 2) Sign up for Tues/Thurs and wait for a spot in this session to open up. Due to the overwhelming growth last season and anticipated return of most of our middle school rowers we decided to add a 2nd middle school session on Monday/Wednesday. As we anticipated, Tuesday/Thursday filled quickly and we are now trying to fill Monday/Wednesday. Currently we don't have enough rowers on Mon/Wed to begin practice. If we get enough we will begin that session next Wednesday, September 9th. If we don't get enough, we will add those rowers to the waiting list for Tuesday/Thursday. We appreciate all the interest in our middle school program this year and hope to accommodate all who want to row with SORA. So if you want to row, please register for Monday/Wednesday now. Those registering for this session will not be charged for their registration/dues until the session is confirmed. PLEASE NOTE: These are 2 different sessions. Tues/Thurs are not interchangeable with Mon/Wed. 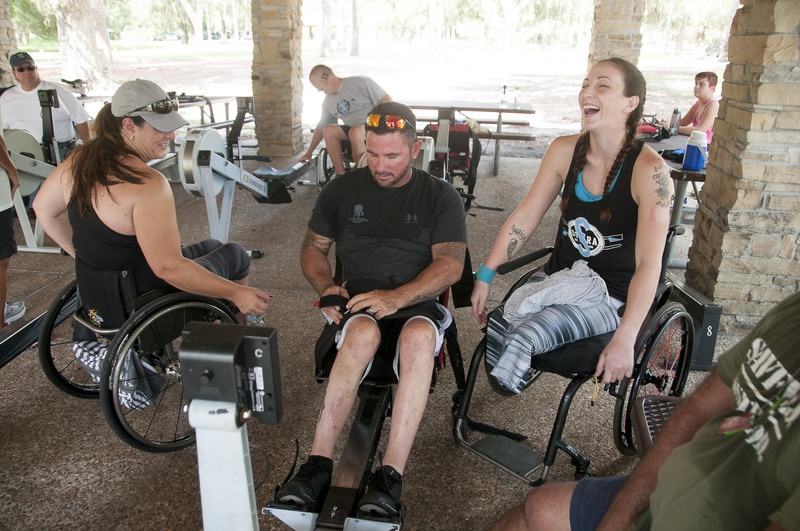 A big thanks to all the Wounded Warriors and volunteers who came together to make our event great! This was truly a community supported event with middle school rowers, high school rowers, parents and coaches all coming together to benefit those who served our country. A special thanks to members of UCF's Women's team who showed up and were amazingly helpful. It was a great time, new friends were made and we look forward to having future events benefiting this great organization. Welcome to the new soracrew.com! All new for the 2015-2016 season, soracrew.com is your one-stop-shop for all SORA news, events and information. This site was designed with one thing in mind; to improve the overall experience for all SORA members and make it easy for prospective rowers to get information. All new built-in invoicing and billing system to simplify and automate the SORA billing process. Now every transaction will have a receipt and will be searchable within a rower's account. Facebook page integration. All posts to the SORA Facebook Page will appear on our front page so those without Facebook or who don't have time to visit the SORA page can get any news and info posted there. Regatta/Event sign up all in one place. 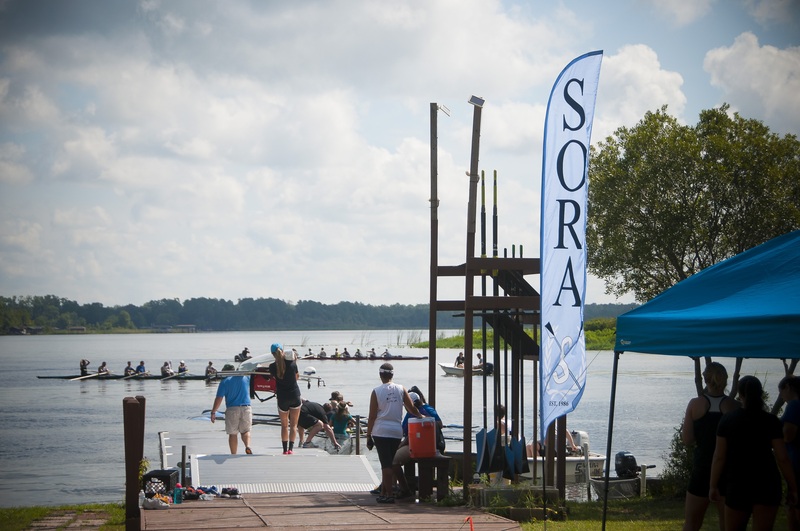 Any SORA related event that requires signing up, including travel regattas, volunteering and pre-regatta dinners will be done directly on soracrew.com.